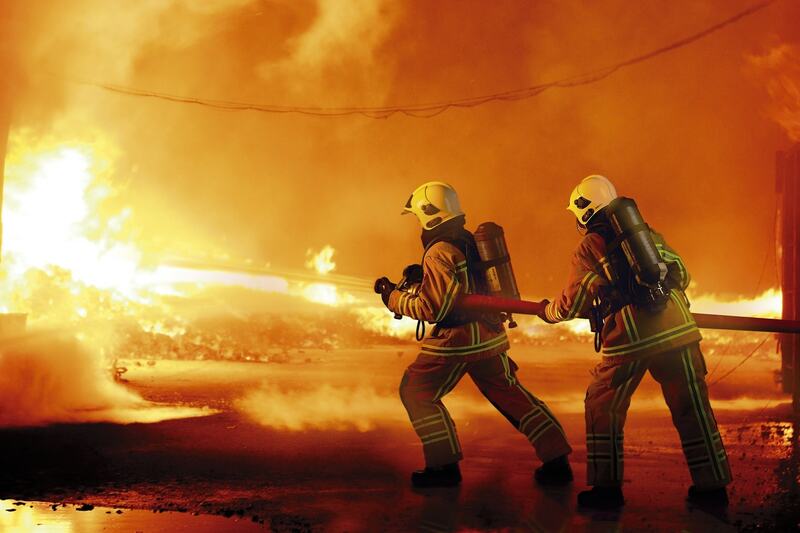 The majority of fires are preventable and with a few simple steps, you can minimise the potential risks. Here’s what you need to know about 5 of the most common electrical fires. For general electrical equipment, it’s important that your appliances do not have any loose/broken cables, you aren’t over using the extension lead and you are not carrying out any improper electrical installation work yourself. Downlighters are responsible for a significant amount of house fires each year and they must never be covered by thermal insulation. With halogen downlighters reaching scorching temperatures of 200°C, any combustible material the lamp comes into contact with will ignite. It’s important to make sure there is enough ventilation around the down lighter so it allows some of the heat to escape. This is why it’s extremely important that there are no combustible materials covering the downlighter or close enough to fall on it, as there is not enough ventilation for heat distribution. It’s recommended that you make sure the down lighter used is ‘fire rate’ and be sure to fit a fire hood to the downlighter, to prevent from overheating. If insulation falling on your downlighter is your worry, then consider fitting an insulation guard, which protects down lights from something falling on it catching fire. Or to put your mind completely at ease, try LED downlighters, as these are heat free and do not carry as great fire risk! 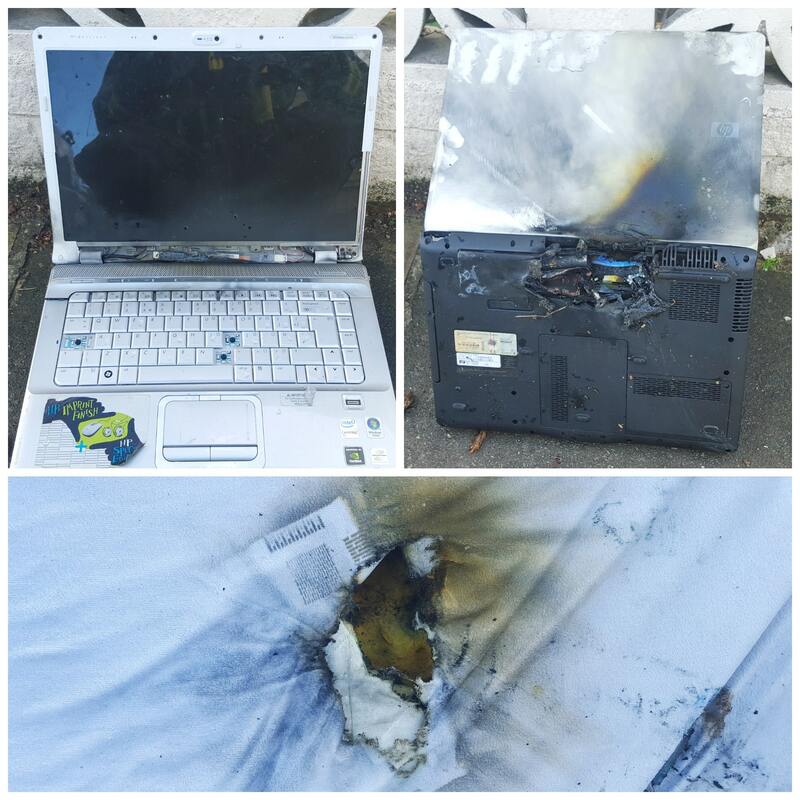 Could your laptop cause a fire? In 2006, Sony recalled approximately 10 million of their batteries, which were used in many popular laptop brands, such as: Dell, Apple, Sony, Panasonic, Toshiba, etc. The recall of these laptop sparked controversy over the lithium-ion batteries used and the safety of them. Lithium is used by manufacturers purely because of how cost effective and easy it is to have in batteries, and also because of its ability to contain a lot of energy in a small, lightweight form. However, they also are known for overheating and going up in smoke. It is a highly reactive chemical, and reacts violently and will explode when in contact with air, which is why it is very important to never use a damaged battery. They are more commonly damaged from being charged excessively. It’s important to remember once your battery is fully charged, unplug it and use it. This will ensure the battery functions like it normally should. Naturally, laptops run warmer than desktops, especially if they are older laptops with limited ventilation. Keep your laptop well ventilated, with the fan open and not on furniture or your body, keep it elevated on a laptop tray or table. Every week, there are reports of a lithium-ion battery catching fire and injuring the user. Recently, a teenager had charged his laptop excessively, unplugged it and when he turned it on again, it burst in flames with the battery seared into his legs, burning him extensively. Last year there were a record number of 253 plastic consumer unit fires in the home, as recorded by London Fire Brigade (LFB). This is an average of five house fires a week! The recent 17th Edition Wiring Regulations Amendment 3 sees the change in consumer unit requirements, as LFB have demanded they be now made from a non-combustible material to minimise the fire risk. The two of the most common reasons for plastic consumer unit fires are that some components have been subject to product recall or that the wires have not been properly fitted/connected/secured to the consumer unit. This can be due to an improper installation. With many consumer units being placed underneath the stairs, LFB recognised this has a great fire risk, with the stairs being the main source of emergency exit for most homes. From January 2016, it will be compulsory for all new consumer unit installations to fit metal clad consumer units for maximum protection. It’s very common now to see homes using 4 way plugs, in order to get as much out of the socket as possible. However, they are very dangerous. There is a reason sockets only have space for two plugs: the risk of overload. Remember to only use one extension lead per socket and do not plug in another extension lead to that one. This can be fatal. You should never exceed the maximum current rating for that extension cable; most cables are rated 13 A. Check for signs of overheating: blackness, smoke, scorch marks, damaged cables. These checks will only take a few minutes but could save your life. More and more fake phone chargers are being sold every day, with the 99p price tag hard to resist for some. However, these chargers carry great risks with fire safety. A fake charger may work with your device, but it may also have a higher voltage or current than you device can manage, this then causes damage to your phone and presents a serious risk of fire. Genuine phone chargers do cost more and some may believe they are just paying for the brand name, but you are actually buying a safer product. Fake chargers are often made with cheap quality components that do not meet the UK safety regulations, which can later result in electric shocks, injury and in some severe cases, fires. 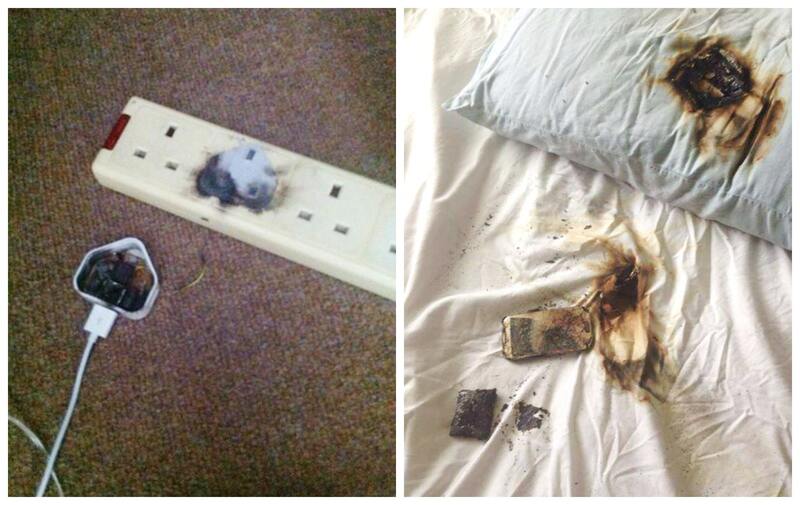 As the above images from London Fire Brigade show, this is the true risk of fake phone chargers, especially if you charge your phone under your pillow while you sleep! It’s strongly recommended to abort buying fake phone chargers and buy from an approved retailer for a product quality you can trust. Make sure the phone charger you do buy has a British or European safety mark when you buy it. Remember to unplug your charger when you are not using it, when it’s fully charged or when you go to bed to reduce the risk of fire. Still not sure what a fake phone charger looks like? London Fire Brigade have got you covered! Take their real versus fake test to see if your charger is real or fake. If you’re interested in finding out more, then read on for more electrical fire safety facts and tips!